A refurbished hotel in Basingstoke with conference rooms and modern British diningCrowne Plaza® Basingstoke hotel is a five-minute drive from Basingstoke railway station and 40 minutes from Heathrow Airport (LHR).Our Basingstoke business hotel is near the M3 motorway and offers easy access to central bars and restaurants, the high-street stores at Festival Place mall and Anvil concert hall with its diverse performing arts programme. Twenty minutes’ drive away, Jane Austen’s House Museum is the 17th-century house where the famous novelist spent her later years. If you’re visiting on business, our eight high-tech event spaces can host up to 150 people, and our Crowne Plaza Meetings Director is on hand to ensure that everything runs smoothly.At our hotel you can enjoy:- Free WiFi- Complimentary parking- A 24-hour business centre- A fully equipped gym with sauna and steam roomWith high-speed internet, sizeable desks, LCD TVs and easy chairs, our chic, contemporary rooms are ideal for work or relaxation. Our Sleep Advantage® programme’s premium bedding and quiet zones promise a good night’s rest. Wake up to breakfast in our 1449 Restaurant, Bar and Grill, which also serves creative British cuisine later in the day. After a busy schedule of meetings, wind down over drinks at the bar, or out on the patio in summer. 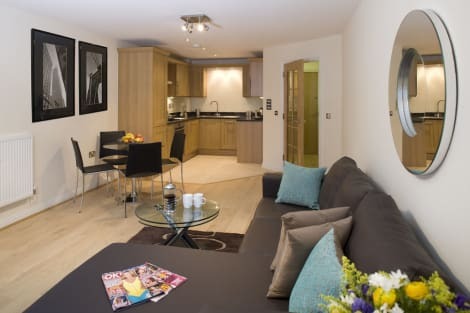 Berkshire Rooms - Basingstoke offers accommodations throughout the area in Basingstoke. Pamper yourself with a visit to the spa, which offers massages, body treatments, and facials. You can take advantage of recreational amenities such as a health club, an indoor pool, and a sauna. This hotel also features complimentary wireless Internet access, concierge services, and a television in a common area. Make yourself at home in one of the 90 guestrooms. Bathrooms have bathtubs and hair dryers. Make yourself comfortable in this apartment, featuring a kitchen with a refrigerator and a microwave. Wired and wireless Internet access is complimentary, and a flat-screen television with satellite programming provides entertainment. Conveniences include a safe and a desk, and housekeeping is provided on a limited basis. Make use of convenient amenities such as complimentary wireless Internet access, wedding services, and a television in a common area. Additional amenities at this hotel include tour/ticket assistance and a banquet hall. Situated in the north-east of Hampshire at the source of the River Loddon, Basingstoke is one of the jewels in the crown of the South of England. Its bustling commercial district means that there are plenty of restaurants and accommodation options to choose from, while the town's modern facilities and status as a commercial hub belie its fascinating history – even being mentioned in the famous Domesday Book of 1086. 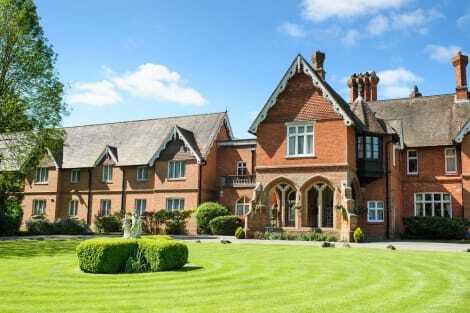 Set amongst numerous country houses and picturesque scenery, it's little surprise to learn that Basingstoke is situated close to Steventon, the birthplace of Jane Austen. 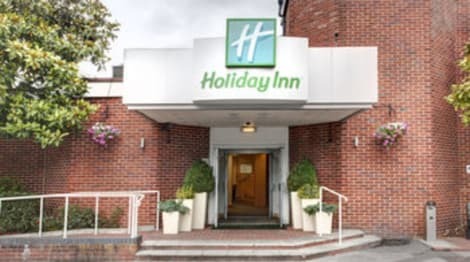 Guests at our Basingstoke hotels will be pleased to know that there are several opportunities to experience the environment which provided inspiration for her early novels. For example, The Vyne is a Tudor mansion and gardens at which Austen attended dances during her life, and is a picture-postcard example of the sort of place she favoured. And just down the road, in nearby Chawton, is the Jane Austen's House Museum, a must-see for anyone who wants to see where she penned some of her most famous works. Just outside the town is Basing House, at one time the largest private house in the country. Hosting visits from the great and powerful throughout history, including Henry VIII, Elizabeth I and Oliver Cromwell, this magnificent dwelling has many a story to tell. Basingstoke's appeal goes beyond its literary heritage, however. It's also a premier shopping destination, with the Festival Place Shopping Centre housing over 200 shops to splash out in. For a trip the whole family can enjoy, why not pay a visit to Milestones? This local history museum recreates life in the county during the 19th and 20th centuries, with thousands of objects and numerous vehicles which bring the past to life. Best of all, it's family friendly, with I-Spy trails for the youngsters.